Windows 7 DaRT 6.5 (also compatible with Windows Server 2008 R2), helps diagnose and repair a system that has trouble starting or has other issues. When you start the system using the Emergency Repair Disk (ERD), also referred to as Boot CD for MSDaRT, a System Recovery Options dialog box appears. A graphical environment and a command-line console are available. You will then see a set of tools that help diagnose and repair various problems with the OS, such as editing the Windows Registry, the Crash Analyzer tool that helps Identify the cause of a system crash, the Locksmith Utility to reset local user account passwords and a lot more. The command-line console can be opened by clicking the Command Prompt option in the System Recovery Options menu. You can access any Windows 7 or Windows Server 2008 R2 file system, which includes FAT, FAT32, and NTFS. 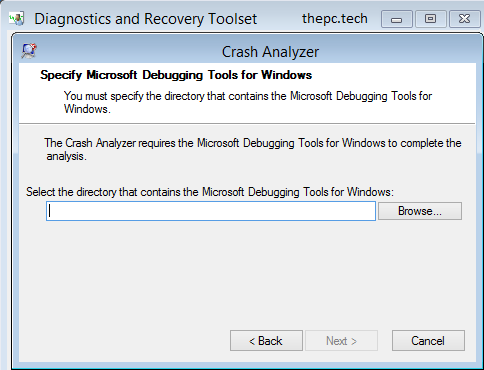 Microsoft Diagnostics and Recovery Toolset is available on the System Recovery Options menu. Clicking MSDaRT opens a detailed MSDaRT Tools menu which presents various recovery tools.